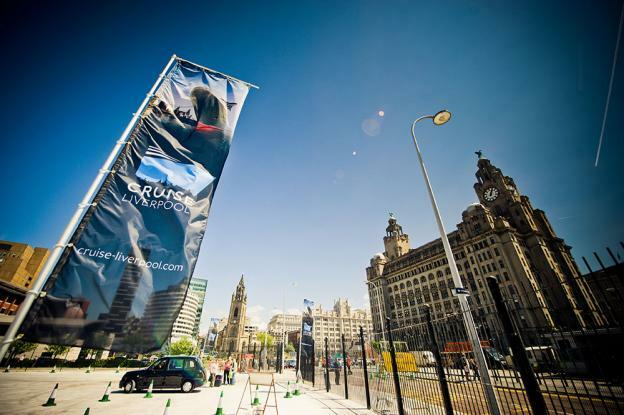 Parking close to Liverpool Cruise Terminal couldn’t be easier. The nearest multi-storey car park is Secure Parking Capital Building Car Park on Fazakerley Street L3 9UA. Parking at the Liverpool Cruise Terminal couldn’t be easier – why not visit our dedicated Cruise Passenger Services page which has full details on our dedicated parking facilities here at Liverpool Cruise Terminal – just click here. Fred Olsen – For Black Watch long term parking please visit the Cruise Passenger Services website. Cruise & Maritime Voyages – For Magellan long term parking please call CMV on 0845 500 5045. There are a number of park and stay offers available to passengers embarking on cruises from Liverpool. Please contact the hotels directly for more information. Drop off Only – The drop off point is located in front of Baggage Reclaim. Maximum stay is 5 minutes. Pick Up Only – Due to limited space in front of Baggage Reclaim, we are unable to accommodate a pick up point on site. The closest pay & display car park is located adjacent to the Liver Building on St Nicholas Place. Other car parks close by include Q Park on Vernon Street, NCP Pall Mall & Rumford Street Pay & Display. There is no layover facility at Liverpool Cruise Terminal. You are welcome to wait for passengers outside Baggage Reclaim without your vehicle.